Black Friday is Here at YoYoExpert! YoYoExpert November 23, 2017 Comments Off on Black Friday is Here at YoYoExpert! 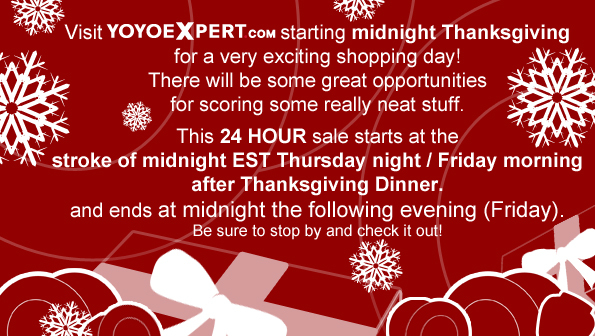 2015 Cyber Monday at YoYoExpert!